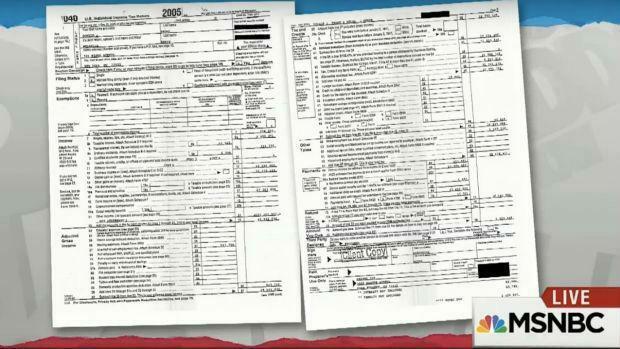 Did Donald Trump just leak his own tax return to make himself look good? For almost as long as anyone can remember, people have been asking Donald Trump to release his taxes. But as time went by, Mr Trump seemed more and more reluctant to do so, especially after the New York Times obtained a return from 1996 that suggested he may have paid no federal income tax that year whatsoever. The White House made clear he would not making them available and Mr Trump claimed it was only the media who cared about the issue. Suddenly, a tax return drops into the possession of Pulitzer-winning journalist David Johnson. The returns shows that in 2005, Mr Trump earned $150m in income and paid $38m - a figure of 25 per cent once depreciation was taken into account. Is this a conspiracy to far to think that this was something he released himself,” pondered CNN’s Gloria Borger, voicing a thought that many shared. 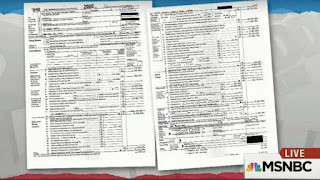 The tax return was obtained by David Cay Johnston, a former tax reporter for the New York Times, who said he received the documents unsolicited, in the mail. Mr Johnson was among those who wondered about the origins of the document and suggested they may have come from the Trump administration. Mr Johnson was set to reveal the document on MSNBC, a liberal network, whose anchor Rachael Maddow boasted on Twitter they had obtained the document. As it was, the White House beat Ms Maddox to the scoop, releasing a statement to confirm the show’s data was correct. It also issued a stern statement - the sort of stern statement you might wish to issue if you were trying to make it look like you were angry the documents had been released. “You know you are desperate for ratings when you are willing to violate the law to push a story about two pages of tax returns from over a decade ago,” the White House said. In addition to the federal income taxes, the statement said, he paid “tens of millions of dollars in other taxes, such as sales and excise taxes and employment taxes, and this illegally published return proves just that”. People had been hoping that if Mr Trump were to release all his tax returns if may throw light on all manner of issues, including his alleged links to Russia and possible business dealings with officials in that country. As is it, all this has confirmed is that the president, or someone looking out for him, is rather good at seizing the news agenda. Either that, or Donald Trump just got very lucky indeed.